In the 5th modern era college football playoff 4 teams were selected to face off. The fourth ranked team was Alabama, this selection had controversy as soon as the public discovered it. Many believed that Ohio State had earned the fourth ranking from the tough schedule they had throughout this season. But with Alabama’s dynasty of winning many of the championship games, they won the vote and were heading to the National Championship Playoffs. The third ranked team was the Georgia Bulldogs. The Bulldogs had to become the SEC champion this year to get into the playoffs due to a loss against Auburn. Once Georgia played Auburn once again in the SEC championship game, they were not to be out done again. The Bulldogs were unleashed in this game winning 28-7 advancing them to the National Championship Playoffs. The second ranked selected to play in the National Championship Playoffs was the Oklahoma Sooners. The Sooners were led by senior quarterback, Baker Mayfield. 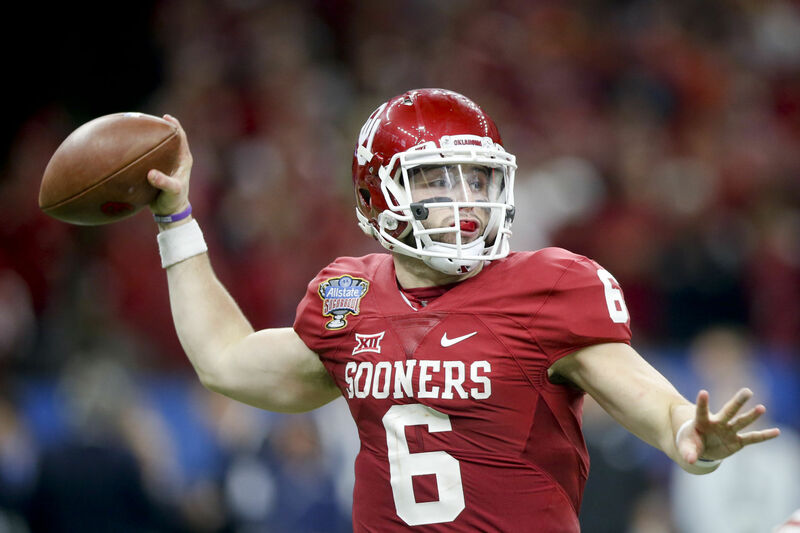 Mayfield won the Heisman trophy as well as leading his team to an impressive 12-1 regular season record beating many AP ranked teams, losing only to an impressive Iowa State football team. Finally, the number one ranked team was the Clemson Tigers. The defending champions from last year were set to repeat. As the Tigers cruised through there regular season games with just one surprising loss to Syracuse. But that wouldn’t stop the ACC conference Champions from being ranked number one over all in the AP rankings. This exciting game on New Years Day is one that will go down in history. As the Oklahoma Sooners came out strong with a 17 point lead before the second half started, the Georgia Bulldogs found a way to tie the game before the end of regulation. The high scoring game at 45-45 went into double overtime after each team made a field goal to advance the score to 48-48. In the second overtime, the Heisman winner, Baker Mayfield had the ball and only needed a touchdown to send his team, the Oklahoma Sooners, to the National Championship Game. After a failed attempt, The Georgia Bulldogs completed the comeback and won by a score of 54-48. The Alabama Crimson Tide struggled against the Clemson tigers, but somehow pulled out a big win to advance to the National Championship Game. Alabama won the game 24-6 with Jalen Hurts only having 120 yards. In this game, Alabama struck first by scoring 10 points in the first quarter. Although Alabama’s offense seemed to not be themselves, their defense showed up and only allowed the tigers two field goals. In this game, Alabama was consumed by the bulldogs defense in the first half. 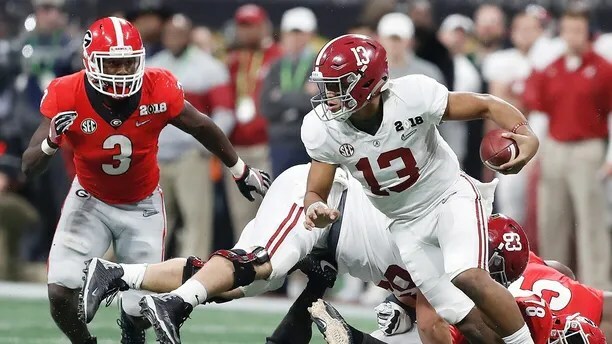 When Alabama could not find a way to score in the first half, Nick Saban decided to make a bold move and put the true freshman, Tua Tagovailoa, in to make some big plays. As this match up came to be a great game by going into overtime. At the end of regulation, the score was tied 20-20. Georgia was set to get the ball first in overtime. When they only scored a field goal, Alabama’s true freshman needed a touchdown and he came through. With a 41-yard touchdown pass. The final score was 26-23. Previous PostHow To Deal With StressNext PostAnimals Help With People’s Depression?